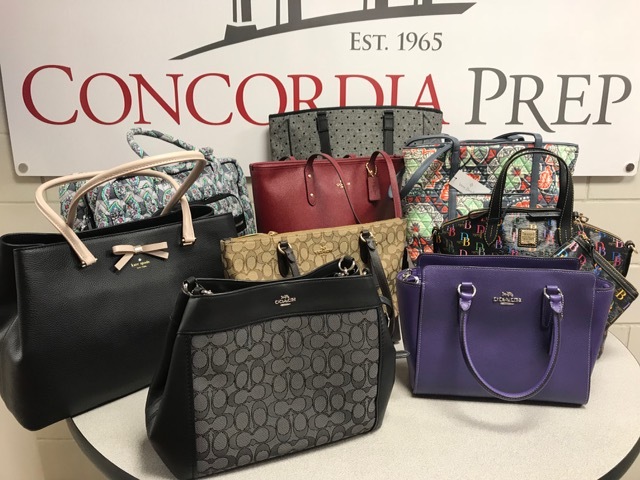 Saints Bingo featuring Dooney & Bourke, Coach, Kate Spade, Thirty-One, Vera Bradley, and more. Twenty Bingo games are included with the ticket as well as a Tie Bingo Drawing and Lucky Loser Bingo. Door Prizes will be given throughout the night. There will also be an Early Bird Game and three special games and raffles. Food and refreshments will be available for purchase. Additional game boards will be available for purchase. Online ticket sales are closed. Please contact Director of Advancement, Mrs. Gloria Murphy with questions: gloriamurphy@concordiaprepschool.org.